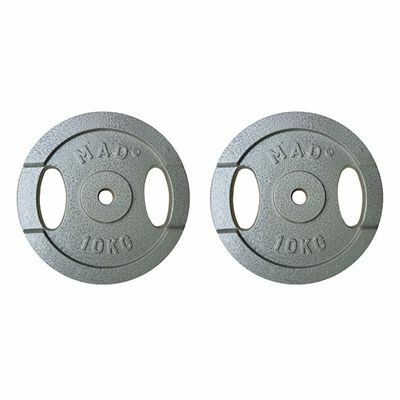 The Fitness Mad standard weight plates are supplied as a pair and weigh 10kg (22lbs) each. They are compatible with 1” (25.4mm) bars and incorporate double handles for easy changing. The plates are manufactured from cast iron and covered with a hammertone finish for added durability. 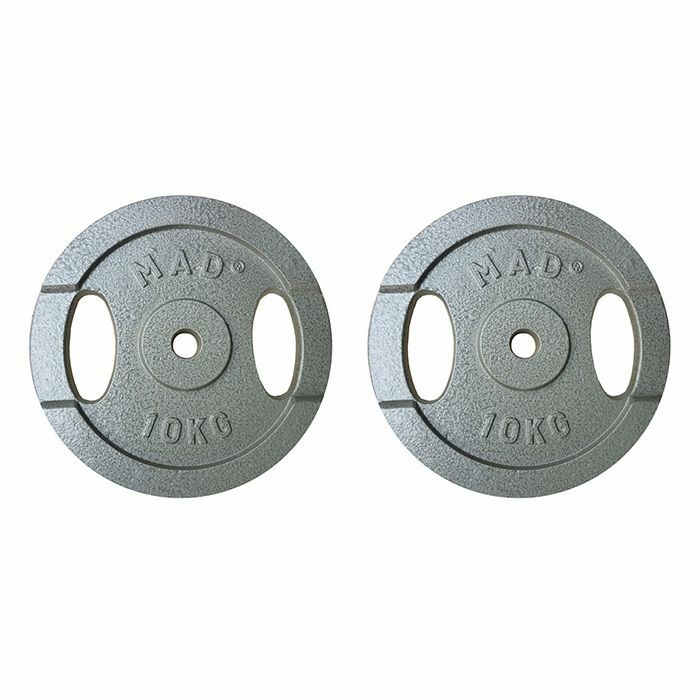 for submitting product review about Fitness Mad 2 x 10kg Standard Weight Plates.